The first day in May reminds me of beautiful and exciting things. There’s the custom that if you put a posy of wild flowers under your pillow you’ll dream of your true love. On Mayday morning if you bathe your face in the morning dew, your skin will look more youthful and you’ll find your true love, if you don’t already have one. It reminds me of living in Stockholm taking part in the Första Maj political parades as a somewhat leftie student and equal opportunities advocate. On Arran, I’ve been told by experienced gardners that you can safely plant things after Mayday which would otherwise perish earlier. “Ne’er cast a clout till May is oot” is a word of advice which means you should wear every conceivable layer of clothing until the end of April to keep out the chill. Very sound advice for the weather we’ve had in the past few days where the mountains are dusted with snow again and one of my poor wee tomato plants died of the chill wind the other night – I obviously forgot to heed the experienced gardeners. 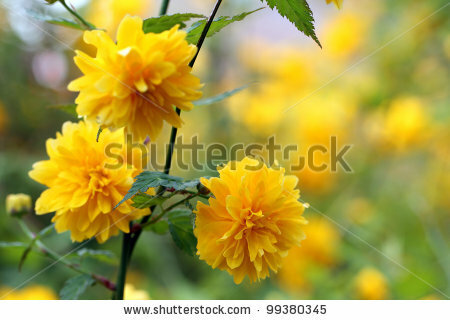 Speaking of gardeners, through a friend I’ve discovered a new plant for my collection kerria japonica. I fell in love with it’s golden yellow flowers in an arrangement in the church hall the other week and the person who did the arrangement brought me a root cutting (not sure that’s the technical term, but you get the idea.) 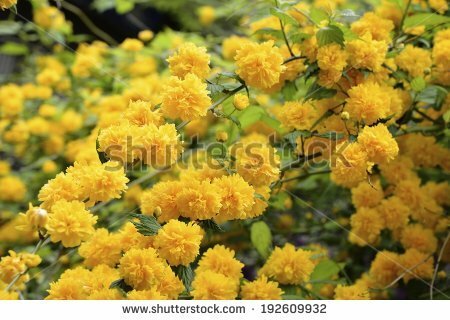 Now I have one among my shrubs. My most exciting memory of the 1st of May is 40 something years ago, when I was waiting for the imminent arrival of my first child. She was due on the 3rd and characteristically arrived on the 3rd, but the days before for me were as they are for every soon to be mother for the first time. Fear and anticipation in equal amounts. For me the 1st of May was the beginning of an adventure which is still exciting and rewarding as my life, my children’s lives and my grandchildren’s lives interweave and bring all of us a sense of connection and of being cherished.